Controlling a prosthetic arm naturally and with dexterity has long been a goal of the medical community. Previous prosthetics had only two sensors which limited their ability to open and close the hand. Lack of mobility is a serious challenge for a tool designed to grasp and manipulate. 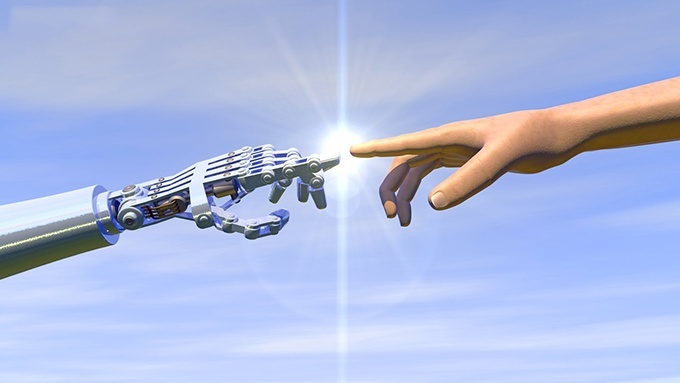 With the most recent technological development from Sensing Systems, however, all that has changed.Sensing Systems Corporation successfully developed tri-axial fingertip sensors that have been placed in bionic arms and are controlled by the user’s brain. These sensors are attached to the patient’s nerve endings and dedicated electronics that transmit electrical signals to and from the brain, commanding the artificial limb to move in a more natural life-like manner while restoring the user’s sense of touch. These revolutionary fingertip sensors also have applications beyond prosthesis. 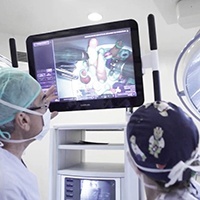 Minimally invasive surgical tools, such as fingertip electrosurgical devices, are used for tissue grasping and cutting, clotting, fusing, and ablating during laparoscopic procedures. These procedures make smaller incisions, reduce healing time, and minimize scarring.The same multi-axial sensor technology used in prosthesis may be applied to surgical devices enabling surgeons to perform these procedures safely and accurately. Instead of the current two finger cuff in use today, dexterous digits could be applied, giving the surgeon the accuracy of open procedures with the least amount of invasiveness. Industrial machinery is often operated remotely, especially in areas that are unsafe or inaccessible to humans. The ability to adeptly control a system or equipment from a remote location can make industries more efficient. With the tri-axial sensors developed and manufactured by Sensing Systems, these remote machines could become vastly more effective. The fingertip sensors give machines the dexterity to perform detailed tasks without the necessity of a human’s presence. A person could control a device from a safe distance while still performing the required tasks. Today’s gaming world has surpassed the days of Pong and Pac-Man. Systems have become increasingly interactive. 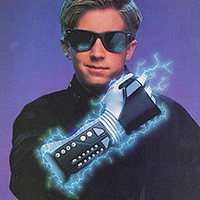 In 1989, Nintendo released the Power Glove, a precursor to the real possibility of virtual reality gaming. Though it was considered a success of innovation, it wasn’t a commercial success. More recently, however, gaming has become all about making the gamer the main character. Motion capture technology was the next step toward putting the player into the game. When applied to the gaming world, multi axis sensors give the gamer a lifelike capability to manipulate virtual objects never before possible. Having the ability to feel and operate virtual devices may revolutionize the gaming and virtual reality industries. Many manufacturing companies utilize robotics technology for its ability to efficiently and inexpensively perform repetitive activities. 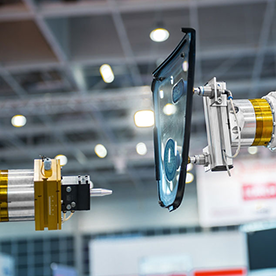 Grasping devices play a crucial role in automated production and industrial robots use precise movements in assembly lines for several industries.Tri-axial fingertip sensors give robots the fine-grained dexterity that people have been trying to develop for years. Robots that can ‘feel’ what they’re touching have superior capabilities to their counterparts without the sense of touch. As a robot’s ability to perform more intricate tasks improves, production increases and costs go down. 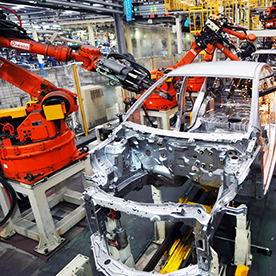 Automated production revolutionized the auto industry by utilizing robotics to manufacture vehicles more cost effectively. In addition to the assembly side of auto production, fingertip grasping devices with life-like agility can be extremely advantageous in other areas of automotive manufacturing and maintenance. Tools or robots with a sense of touch would prove more efficient when repairing or inspecting hard to reach equipment. Instead of having to remove and dismantle an entire engine, a mechanic could use a tool created with tri-axial sensors to go where fingers can’t. This could also increase safety by giving a mechanic the ability to remotely manipulate tools accurately. Tri-axial fingertip sensors controlled by a person’s brain are a breakthrough technological advancement. Restoring the sense of touch and dexterity in a person dramatically increases their quality of life. This innovative technology can also be used in a diverse array of industries. 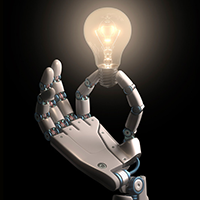 The use of robotics is widespread and, with this technology, possible applications are endless. Sensing Systems is at the forefront of designing, implementing, interfacing, and manufacturing this tri-axial fingertip technology. To learn more about how to incorporate Tri-Axial Sensors into your manufacturing process, contact us today. Our qualified specialists will be happy to answer any questions you may have via telephone or email. You can also view our Fingertip sensors as they appeared in National Geographic, Machine Design, and CBS 60 minutes by clicking here.